Potting is, very simply, the process of covering a component with a resin to guard against potential environmental threats. The most common use for potting is to protect against water and moisture, or to insulate electrically. However, potting can also protect PCBS and other components from thermal and physical shock, chemical attack and tampering, as well as be a physical and visual shield to protect intellectual property and consumer information. The terms "potting" and "encapsulation" are often used interchangeably, but technically, potting refers to a process where the shell or "pot" that is filled with resin becomes a part of the finished component. In encapsulation, the component and hardened resin are then removed from the pot to be placed in an assembly. Conformal coating is a similar process that can protect against some of the same environmental threats, but generally provides less thorough protection. The two processes can be used in conjunction, and each has its own specific applications. "Epoxies, urethanes and silicones have their own strengths and drawbacks." There are three major types of potting compounds – epoxies, urethanes and silicones. Each has its strengths and drawbacks, and is suitable to particular uses. Epoxies – Epoxies offer excellent chemical resistance, and temperature resistance up to 200C. They provide excellent strength to components and electrical insulation, making them ideal for use in high-voltage applications. They can become brittle in low temperatures, and the heat of reaction and shrinkage during curing can be a problem for sensitive components. There are some low-stress potting materials on the market designed for potting SMT populated boards where this is a key factor. Urethanes – Urethanes are more flexible than epoxies, putting less strain on potted components in general. They offer better performance in applications with thermal cycling and in low-temperature environments (down to -40C). However, these potting compounds are generally less resistant to chemicals and high temperatures (above 130C). Silicones – Silicones offer excellent flexibility and operate over the widest temperature range. They are also resistant to many chemicals, liquid water, UV light and ozone. However, they are often the most expensive option, and may not be suited to applications where high rigidity is needed. They also have relatively high CTE, which can sometimes cause problems in applications with high thermal cycling. There are other types of potting compounds that may be applicable in specific situations. These compounds are often described by their end-use or cure method and can be formulated using epoxy, urethane or silicone bases. UV curing compounds can be a good option, particularly when concerns over curing time are paramount. UV curing allows compounds to cure in seconds, but can run into difficulty with especially thick potting or encapsulation. A secondary heat or moisture cure can be used to finish components in those situations. Thermally conductive potting compounds are compounds that have a heat-conductive filler added. These compounds can be used when heat-producing components would be too insulated by a regular potting compound. While they provide some thermal dissipation, heat sinks are sometimes needed and can be potted as well. Optical encapsulants are potting compounds that are optically clear – allowing for either visual inspection of the components beneath them or for light to shine through them. These compounds are often used in the manufacture of LED lights and displays, as well as the solar panel industry because of they are UV stable and flame retardant. 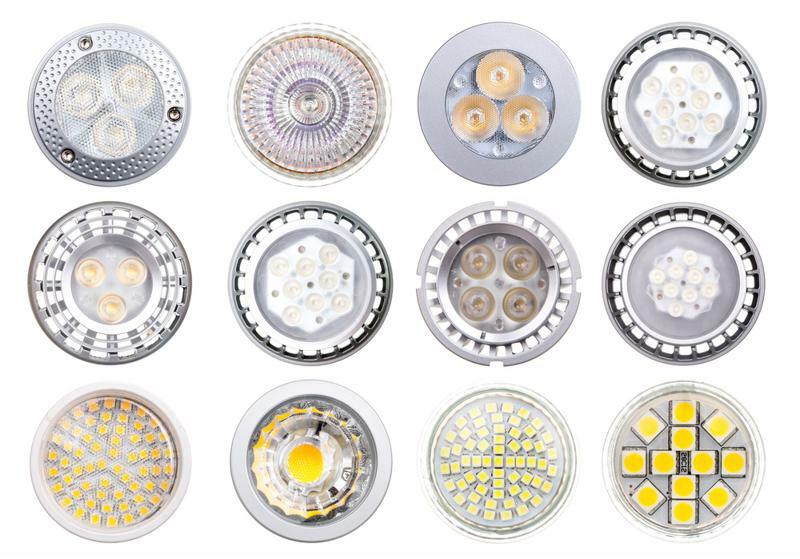 Optical encapsulants are often used in LED lights due to being UV stable and flame retardant. Hot melt thermoplastic polyamide polymers can be used for potting as well. These are made from a thermoplastic that is heated and molded around components. This can be an excellent option for creating a watertight enclosure that sets quickly, and are available in UV-rated formulations. Ceramic potting compounds can also be used for specialty purposes. These compounds provide excellent dielectric insulation, and work well in even in the 2000C range. They are mainly used in specialty electrical potting applications. Many factors will go into the decision about what potting compound is ideal for an application. What elements should be protected from needs to be analyzed, with water, chemicals, and electrical insulation being the most common considerations. Further, the operating temperatures of the components and mechanical stresses need to be considered, as potting compounds undergo many property changes (most noticeably modulus and CTE) when crossing the glass transition temperature (Tg). Finally, production and cure times need to be taken into account. Opacity, color or translucence may also be important to think about in particular situations. All of these factors can be altered to meet specific needs. "Potting can help enclosures meet IEC standard 60529." In cases where assemblies need to be fire-resistant, there are a number of potting compounds that are UL listed for flame retardance Standard 94. Potting can also help enclosures meet IEC standard 60529 - known as International (or Ingress) Protection Marking. This IP standard assigns ratings to critical equipment (like AEDs) that describes the level of protection afforded against ingress by dust and water. Because the potting compound and the components potted will have different coefficients of thermal expansion (CTE), components may be subject to additional stress if the assembly undergoes thermal cycling. Therefore, it will be important to consider the lifecycle of the components and choose a compound that is flexible enough for the specific application. There are two main dangers to components when potting. The first is that heat from the curing reaction will cause damage to delicate components. If the components being potted are sensitive to heat, it will be important to choose a compound that either gives off a low amount of heat during curing or that dissipates heat more easily, like a thermally conductive potting compound. The second danger is that shrinkage of the potting compound during curing may damage sensitive components or solder bonds. This can be avoided by choosing a potting compound that shrinks less or is more flexible.